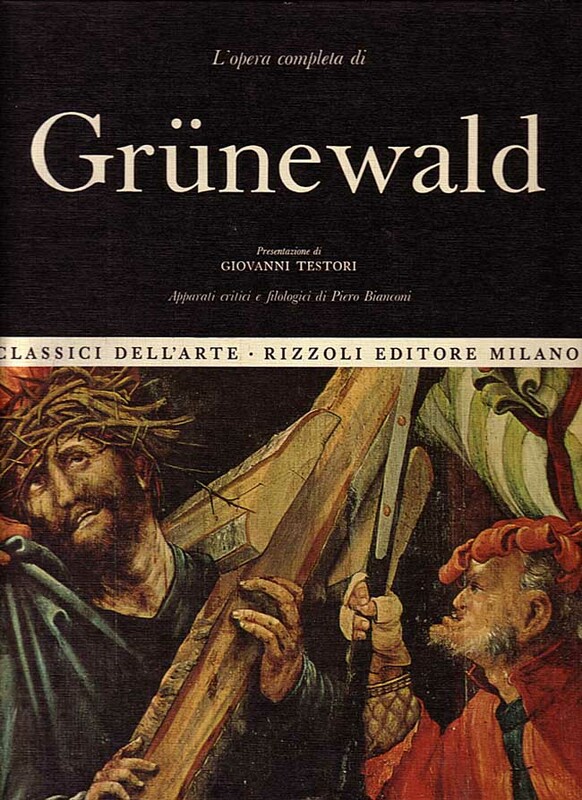 [Matthias Grünewald]; ed. Giovanni Testori; apparatus Piero Bianconi. Binding: hardback, stitch bound; printed boards, no dustjacket. Overall condition fair to good: boards grubby, and somewhat frayed at the edges and corners; text section rather yellowed with age, some foxing to the monochrome sections; appears to be free of marking.